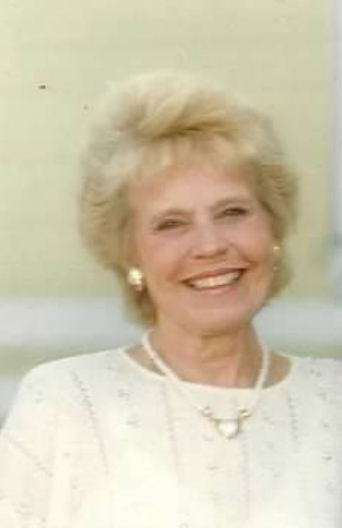 Betty June Vervaet, 95, passed away peacefully at Heritage Point, Mishawaka, on April 5, 2019 at 7:17 PM. She was surrounded by loved ones as she departed this earth to begin her new journey. Betty was born on April 12, 1923 in Goshen, IN as the daughter of the late James and Grace (Harman) Spotts. On November 21, 1941 in Osceola, IN she married the love of her life, Cyril August Vervaet. She will join her beloved husband, Cy, who she was married to for 65 beautiful years. Deep comfort and joy awaits their reunion in heaven. She is preceded in death by her brother, Richard and sisters, Doris and Joyce. Also awaiting her is beloved pet, Cetty. She is survived by her four children, Richard G. (Sharon) Vervaet of Buckeye, AZ, Gary A. Vervaet of Warsaw, IN, Jill (Reece) Price of Granger, IN and Geoffrey D. (Georganne) Vervaet of Granger, IN; 19 grandchildren; 46 great-grandchildren and 5 great-great-grandchildren. Betty’s full time love and true joy in life was loving her family and serving the Lord. She showed the world what it meant to live a life that emulates Christ and was a beacon of light to those around her. Her most treasured memories came from time spent with family, always making the holidays special and full of food and laughter. She was known for many of her “special” recipes but most of all her homemade bread and “Wacky Cake.” Everyone was welcome in her home, not just for the holidays but anytime. Her heart was big enough to hold every soul she came across and now those left behind have the honor of sharing it with the world. Her heart is at peace, her heart is content and her soul is at rest. Visitation will be on Wednesday, April 10, 2019, from 11 a.m. to 1 p.m. in Hahn Funeral Home, 505 F. 8th Streets, Mishawaka. Graveside services will immediately follow at Fairview Cemetery, Mishawaka, IN. Memorial contributions can be made to Heart to Heart Hospice, 620 W Edison Rd Ste. 122, Mishawaka, IN.